It’s important for us as a country to recognize the benign ways we approach teaching stories as a whole. As youth, we’re indoctrinated with histories and pedagogies that suggest that the teacher and this country has it all figured out. Students in this framework are simply recipients of our didactic largesse. Over time, our society expects to complicate the storytelling by complicating narratives and opening the fissures of conflict. As adults ween students off the security blanket that is our curriculum, we have a depreciating sense of what they ought to do with this knowledge. Should they challenge the framework we’ve offered to build a better world around us or should we allow misconceptions to flourish to maintain the status quo? The answers to this question are complicated and not as bifurcated as our current zeitgeist suggests. But what’s true, even before we choose a path, is that too many of us come to these complicated truths later in our development. As we understand that the same kid who could not tell a lie about a cherry tree also became our first president and most powerful slave owner in the country, we can also understand that the maths we divulge to our students also have explicit and implicit messages from foundation to delivery. Pythagoras (and the team who took on the moniker), Eratosthenes, and Roman numerals come into our consciousness before the Mayans and the Egyptians. We don’t learn of Ada Lovelace and Katherine Johnson unless we specialize in the fields of computer science and astronomy, respectively. The life of Benjamin Banneker is often reduced to a simple scientist, as if he didn’t use his post to rebuke founding father Thomas Jefferson’s racist theories on the enslaved. And while it’s true that the word algebra comes from a Persian scholar named Muḥammad ibn Mūsā al-Khwārizmī, how does that square with the ways we ostracize children of color from our curriculum? 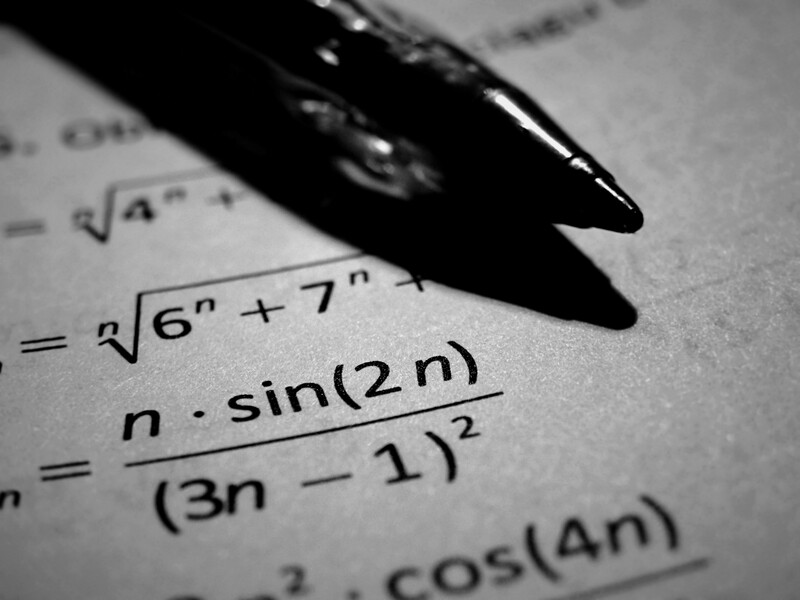 We know how harmful “Asians are good at math” can be both anecdotally and through research, but we don’t stop to think how math as a subject still centers whiteness as a marker for success. We marvel at black kids achieving high scores on standardized tests, and distort “by any means necessary” to include oppressive methods by which schools arrive at their test scores. We love films like Stand and Deliver, but we don’t recognize how the students’ ancestors had a beautiful rendition of math that perfectly synchronized calendars with the rest of the solar system. These concepts aren’t foreign, but the United States of America’s rendition of math makes academic attainment and achievement foreign for so many of our students. Math was never neutral. Math as a subject area is a reflection of the values and stories propagated by a given educational system’s architects. If the architects truly valued marginalized peoples’ stories, we would have seen these elements early on in all of our children’s textbooks and digital tools. We wouldn’t have to argue whether algebra II needs to be taught as a gatekeeper for STEM fields because everyone would have equitable access to the curriculum and students could make a fairer choice on their own. Indeed, most of the pejoratives thrown at Gutiérrez prove her point. One wouldn’t need to disagree by telling her to go to another country, belittle this professor with “honey,” or insult her with reverse racism charges. The more these folks disagree by attacking her person, the more these folks send a message about their discomfort with a person of color having any say about the way math gets taught. In other words, math as a neutral subject is a lie, and the folks who perpetrate the myth lie for their comfort. Math has often centered the success of straight white men and those who believe in their schema. Surely, we have a few solutions to this, including diversifying the teaching profession and including more than white dudes in our math. We can also raise the status of teaching as a profession because teacher pay is a feminist issue given how many women we have in this work. But on a foundational level, we would do well to recognize that the incremental changes we seek to make for students aren’t just focused on gaps in standardized test scores and resources, but what our society gleans from them. Our ideas of success are centered on colleges that don’t create welcoming environments for students of color and careers with bosses that won’t hire us. If we actually did the math, we’d see how the outcomes matters as much as the incomes, and our incomes are stratified along race and gender lines. We don’t believe that black and brown children are capable and brilliant in their own mathematics, and hold them to standards unaligned with our country’s standards for themselves. We don’t value our children as full human beings. We also have such low expectations of adults and children we call high achievers that we’ve obfuscated high-achieving with full humanity, as if a perfect storm of privileges didn’t usher us into the maelstrom that is 2017. As a middle school educator, I hope the children have better solutions for the world than my generation and previous generations do not. Solidarity with you, Dr. Gutiérrez.